We saw "Megan Leavy". Good movie. Personally, I wasn't as blown away with it as I was with "Wonder Woman" but there were some similarities. 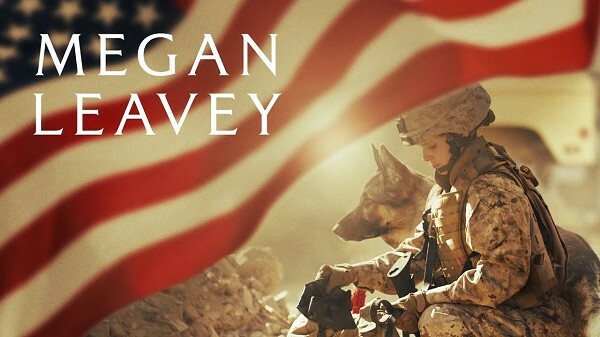 Unlike Wonder Woman, Megan Leavy is a real person and played very well by Kate Mara. She is as brave and courageous as Wonder Woman is and she takes on male-dominated roles. However, she has difficulty relating to people so she joins the Marines. This is to get away from the suburbs of New York City and a mother, played by Edie Falco, who doesn't understand her in the least. In a disciplinary measure, she gets assigned to cleaning out the kennels in the K-9 unit. She decides this is where she belongs and sets her sights to accomplish this. She is assigned a tough dog named Rex. Of course, they bond and become heroes, another parallel to Wonder Woman. The fact that Megan is a woman Marine doesn't come into play as much as you'd think. The rest of the main cast are Common as Gunny Martin, Tom Felton as Andrew Dean a trainer, Ramon Rodriguez as her friend Matt Morales, Bradley Whitford as her father and Will Penn as her step-dad. All do a very nice job. I enjoyed the movie.